From my point of view being a bit of a NetApp fanboi this is pretty special, we have some pretty deep integration with NetApp ONTAP systems today already but now to bundle Veeam licensing with any ONTAP solution and allowing NetApp sales and partners to easily order this bundle from one location. It’s not just about that integration though, we still have some other sticky areas of the NetApp portfolio such as NetApp E-series, AltaVault, SolidFire and the upcoming NetApp HCI release. We have the ability to use these platforms as backup targets as well as being able to protect data from them when they are used as production storage. When will this happen? 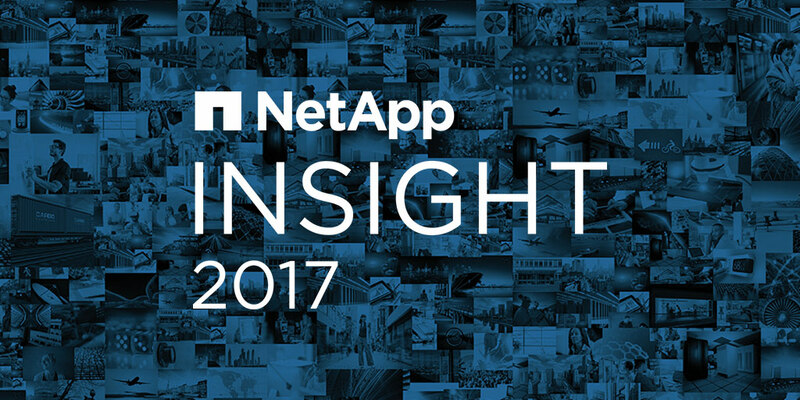 That I do not know, but I am sure if you are a NetApp partner today then be sure to have that conversation with your NetApp account team. For more information though on the integrations then drop by the Veeam booth on this final day of Insight. It has been a strange week but I want to say it again, thanks to all the staff of the Mandalay Bay, the local law and security that kept me safe on Sunday evening. I also want to thank the #NetAppATeam I have known some of these guys for 5 years and consider them friends. That’s how we got through Sunday because we are a team. Safe travels all, when you get back give your loved ones that extra hug.